The Dame Roma Mitchell Cancer Research Laboratories (DRMCRL) and the Freemasons Foundation Centre for Men’s Health welcome Dr Kuczek BSc (Hons),PhD who has joined the DRMCRL as the National Research Manager for the Movember and National Breast Cancer Foundation (MNBCF) Linkage Grant program. Elizabeth brings a wealth of expertise in managing large scale multi-institutional national programs, including in the area of hormone dependent cancer. Her PhD in biochemistry was followed by postdoctoral studies in immunology in Adelaide and at the University of California San Francisco. 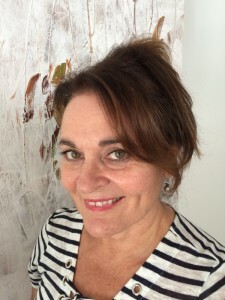 She returned to Adelaide to take on a product manager roll for Sarstedt AG and then moved to Brisbane in 1997 to assist with the establishment of the Australian Genome Research Facility (AGRF) and held responsibility for the DNA sequencing service operations and general operations across all three AGRF nodes (Brisbane, Melbourne, Adelaide). Elizabeth also managed the wallaby genome sequencing project, at that time, the largest genome to be sequenced in Australia. Elizabeth managed the Go8 space analyst reporting to the Go8 University Directors. Through the University of Sydney’s Westmead Millennium Institute she was the project manager for a National Breast Cancer Foundation funded national collaborative breast cancer research program. The MNBCF Linkage program is strongly translation focussed and Elizabeth will also bring to the program relevant knowledge acquired through her involvement as a community member of the Joint Consumer Advisory group (since 2010) which provides consumer support for translating health and medical research. This entry was posted in News, Research and tagged breast cancer, DRMCRL, hormone-dependent cancer, Movember, NBCF, prostate cancer. Bookmark the permalink.